Rumours that Intel is thinking about selling off its security division surfaced Monday. Citing unnamed sources, the Financial Times reported the chip maker is looking at spinning off McAfee, which it acquired in 2010 for $7.7 billion and incorporated into its Intel Security division. John McAfee, founder of McAfee, has never understood the relationship between Intel and McAfee to begin with. “I never understood why a chip manufacturer would have purchased a suite of software security products in the first place,” McAfee told Business Insider. Since selling his company to Intel, McAfee moved to Belize and then fled after being accused (but never charged) of murdering his neighbour. More recently, McAfee ran for President of the United States as a member of the Libertarian party and recently named CEO of MGT Capital. Intel recently reported that it would be cutting thousands of jobs in an effort to narrow its focus at a time when Wall Street says the company is loosing its grip on its core business. Intel shares have fallen 7% so far this year. The company bought McAfee hoping to integrate its technology directly into the chips. 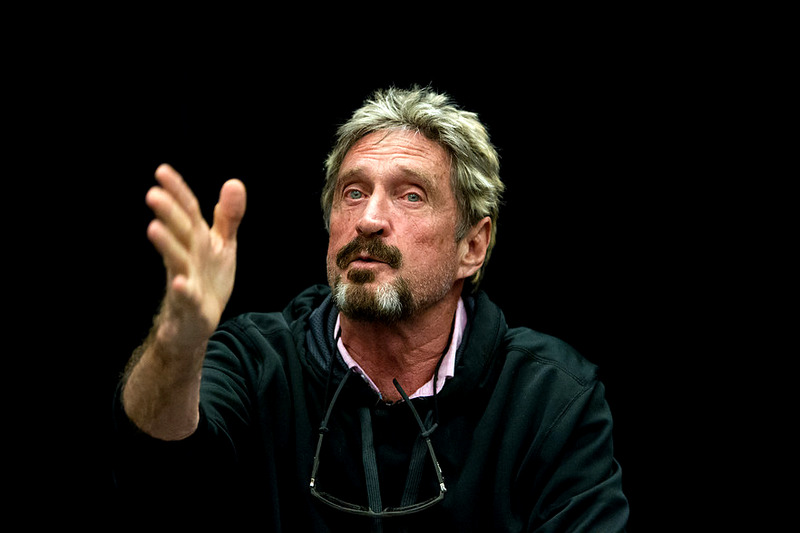 John McAfee doesn’t think it was a good idea in the first place. “It is like a car manufacturer suddenly deciding to get into the skateboard business,” McAfee said.